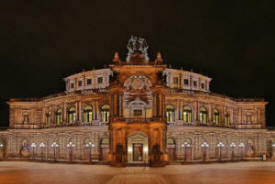 Enjoy performances at some of Germany's major concert halls and opera houses with tickets to the Berlin Opera, the Semper Opera Dresden and the Gewandhouse with daily departures all year round for independent travelers. This history-laden region of Germany, once part of the former East Germany, produced many giants of the music world, from the Minnesingers to Richard Wagner. The birthplace of the reformation is also the birthplace of Handel, Johann Sebastian Bach and Richard Wagner. 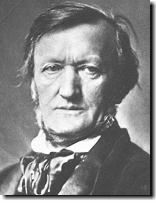 It also served as the inspirational work place for Mendelssohn, Carl Maria von Weber, Robert Schumann, and as well was frequented by many other brilliant composers, including Richard Straus. This area also gave rise to numerous literary giants, such as Goethe and Schiller. Your first stop is Berlin, an immense metropolis, a meeting point for European culture as exemplified by the astounding collections of the Pergamon and Bode museums, many excellent concert halls, opera houses and bustling cafes. Dresden, the capital of Saxony, is host to both the annual Spring Wagner Opera Festival and the popular Dresden music festival in May. The city also boasts some of the worlds finest art, including Raphaels Sistine Madonna and Rubens Batsheba at the Well. 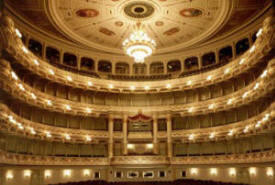 For music lovers, the most interesting site is the famous Semper Opera House with its lavish interior. Situated in the junction of ancient trade routes, Leipzig has been a bustling city of festivals, music and culture dating back to the Middle Ages. Johann Sebastian Bach spent 27 of his most productive years here. Robert Schumann attended the historic university in Leipzig, and the great Richard Wagner was born here. One concert or Opera ticket (first category - certain performances surcharge may apply) as per your choice based on availability. Additional independent music tours and festivals in various European cities.